Do you hate going forward? Do you shudder when a colleague wants to reach out? Are you disgusted by low-hanging fruit, sick of being on the team, and reluctant to open the kimono? Does the phrase blue-sky thinking make you see red? Do you really want to drill down or take a helicopter view? Are you past caring whether the key drivers are going to move the needle? Should anyone really punch a puppy? And can you bear to hear about a big hairy audacious goal? 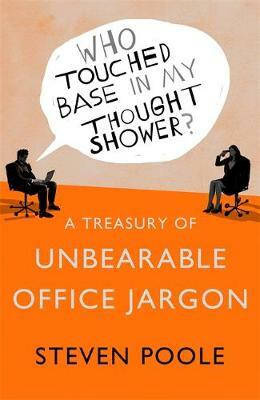 If modern office jargon makes you want to throw up, this book is for you. Taking a hilarious and scathing deep dive into the most hated and absurd examples of corporate-speak it is a come to Jesus moment for verbally downtrodden workers everywhere.